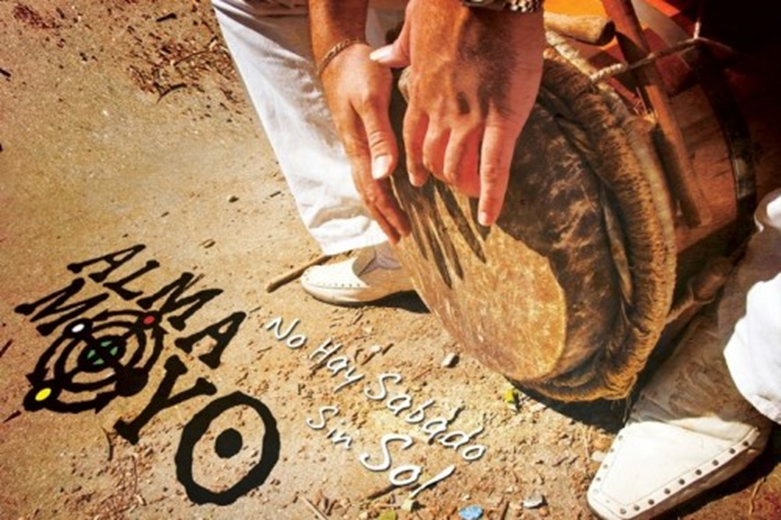 Founded by Alex LaSalle from Moca, Puerto Rico, Alma Moyo is an intergenerational crew of Puerto Ricans and Dominicans who promote the diverse regional drum and vocal styles of Bomba with a Caribbean-blues sentiment. Illegal throughout parts of Puerto Rico as recently as the 1940’s, Alma Moyo’s Bomba is laden with revolutionary defiance, sorrowful lament, and invigorating sound. The group has been performing its rich vocals and dynamic dance in theaters, concert halls, universities, and nightclubs throughout New York. Their debut album, No Hay Sabado Sin Sol, (There is No Saturday Without A Sunrise) is at once a harmonious ode to ancestral spirits, a call to unmask the exploiters in defense of the weak, and a recollection of bittersweet life experiences encountered in love, work, and community. No Replies to "ALMA MOYO"